DANBURY, Conn. -- Police in Connecticut say a nanny is under arrest on charges of intentionally burning a child. On Friday night, police in Danbury responded to Sienna Way on the report of an assault. A woman said her 3-year-old daughter had been assaulted by the nanny earlier in the day, resulting in second-degree burns to the child's hands and leg. 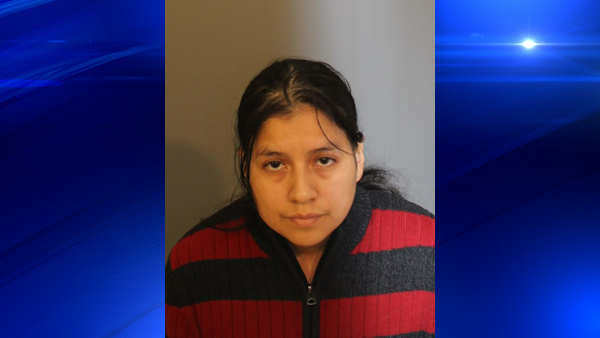 According to police, when the mother arrived home after work she noticed the injuries to her child, and the nanny stated that the child accidentally touched the hot stove while she was tending to the other children. The child was treated by her doctor and returned home, at which time the mother reviewed the video from the hidden nanny camera she had installed recently and saw that the injuries were intentionally inflicted upon the child by the nanny, police said. The nanny, Lidia Quilligana, 31, of Danbury, was located at her home and placed under arrest. After processing she was held on a $100,000.00 bond. Quilligana is charged with first-degree assault, risk of injury to a minor and third-degree criminal mischief.